It seems that shimmer, sheer, high-slits, and pantsuits were hot on the red carpet this morning (May 23) when stars attended the Billboard Music Awards (BBMA) in Las Vegas. Hosted by Ludacris and Ciara, the 27th annual BBMA at the T-Mobile Arena saw a variety of colours, cut-outs and glitter - lots of glitter. Let's take a look at what everyone wore. The Internet is saying "Britney is back". But is she really? Winning the Millenium award at the BBMA this year, the pop princess pulled no surprises when she walked the red carpet pantsless in this lacey black number, pairing the outfit with a pair of gladiators. Later, she slipped into a slinky red bikini and matching knee-high boots to open the show with a medley of her top hits. The R&B singer and host for the night flaunted her toned body in a sequinned gown with cut-outs and a high slit, pairing the outift with matching silver high heel sandals. The Dangerous Woman singer arrived on the red carpet in a blue asymmetrical-striped gown. The figure-hugging dress also boasted a high slit which helped to elongate her small frame and compliment her body. Performing her summer hit Cool for the Summer live at the BBMA, Demi Lovato wore her own rendition of a pantsuit while walking the red carpet - pairing structured black pants with a lace crop top and a dark purple checkered blazer. Even her stalled recording career and protracted legal battle with producer Dr Luke could not stop Kesha from looking regal at the BBMA's in her purple structured pantsuit with gold emblazoning which she paired with gold chunky pumps. Picking up the Billboard Chart Achievement Award, Rihanna channeled the late Whitney Houston by sporting a short messy bob and a brown button up shirt dress which she paired with black and gold slip on heels. The New Americana singer arrived on the red carpet with not one, but two slits. Her white floor-length gown boasted cut-outs as well as sequins, which she matched with a pair of silver heels. The All About That Bass singer was a picture of purple sequins in her midi long dress and sci-fi-like shoulder pads. Another one with a slit, Priyanka Chopra attended the BBMA in a sky blue number with simple make-up and her hair in a loose up-do. Looks like a Fight Song isn't all Rachel Platten has. The singer came dressed in a gold pinstripe pantsuit - baring her mid-riff with a simple black tube top under her blazer - which she paired with pointy black heels. 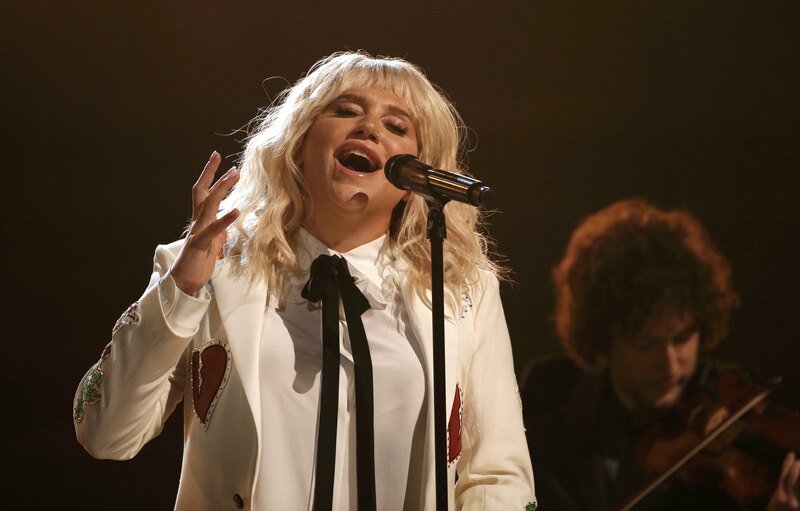 Check out our gallery for more looks from the BBMA's this year. Ariana Grande at the Billboard Music Awards 2016. Britney Spears at the Billboard Music Awards 2016. Britney Spears performing at the Billboard Music Awards 2016. 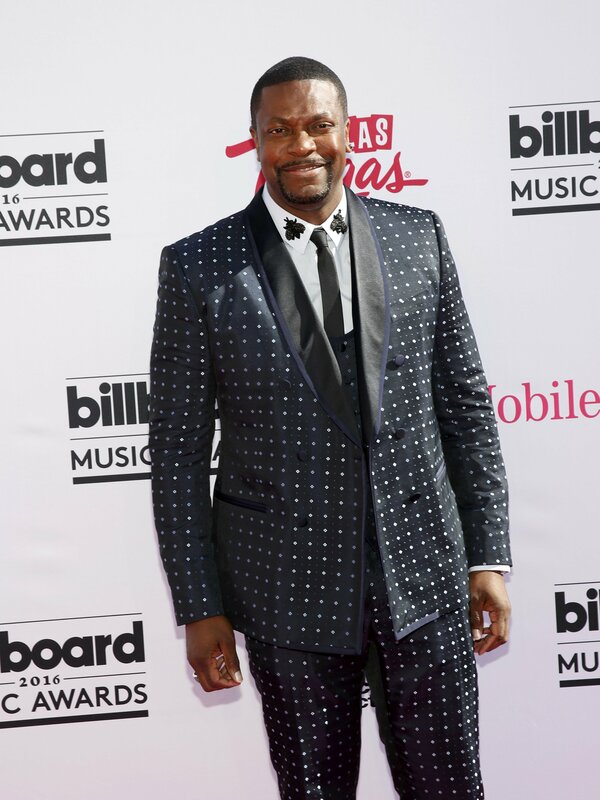 Chris Tucker at the Billboard Music Awards 2016. Demi Lovato at the Billboard Music Awards 2016. 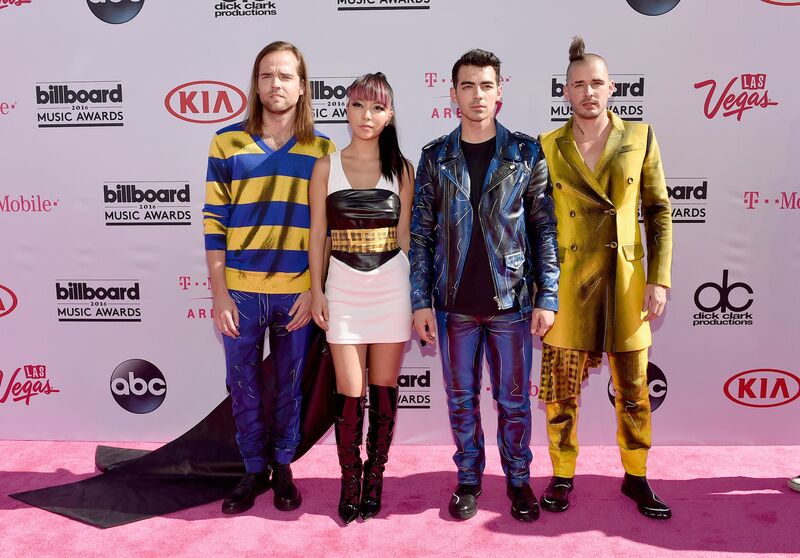 DNCE at the Billboard Music Awards 2016. 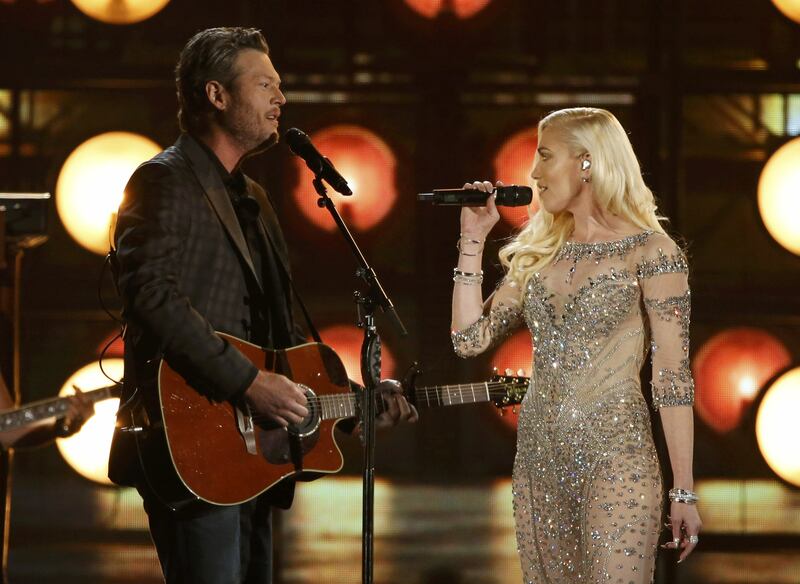 Blake Shelton and Gwen Stefani performing at the Billboard Music Awards 2016. Halsey at the Billboard Music Awards 2016. Heather Russell at the Billboard Music Awards 2016. Jessica Alba at the Billboard Music Awards 2016. Kate Beckinsale at the Billboard Music Awards 2016. Keke Palmer at the Billboard Music Awards 2016. Kelly Rowland at the Billboard Music Awards 2016. Kesha performing at the Billboard Music Awards 2016. Lauren Elizabeth at the Billboard Music Awards 2016. Laverne Cox at the Billboard Music Awards 2016. Liz Hernandez at the Billboard Music Awards 2016. Lucy Hale at the Billboard Music Awards 2016. 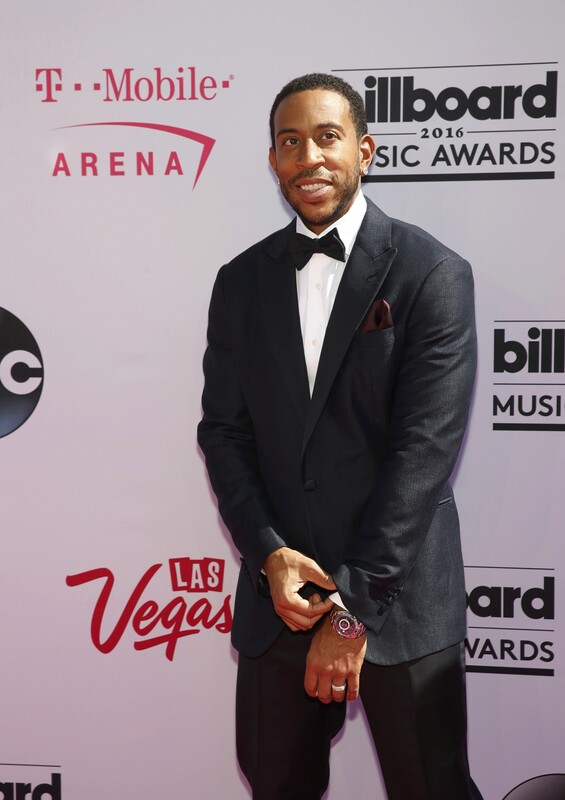 Ludacris at the Billboard Music Awards 2016. Ludacris and Ciara, hosts of the Billboard Music Awards 2016. Nick Jonas at the Billboard Music Awards 2016. 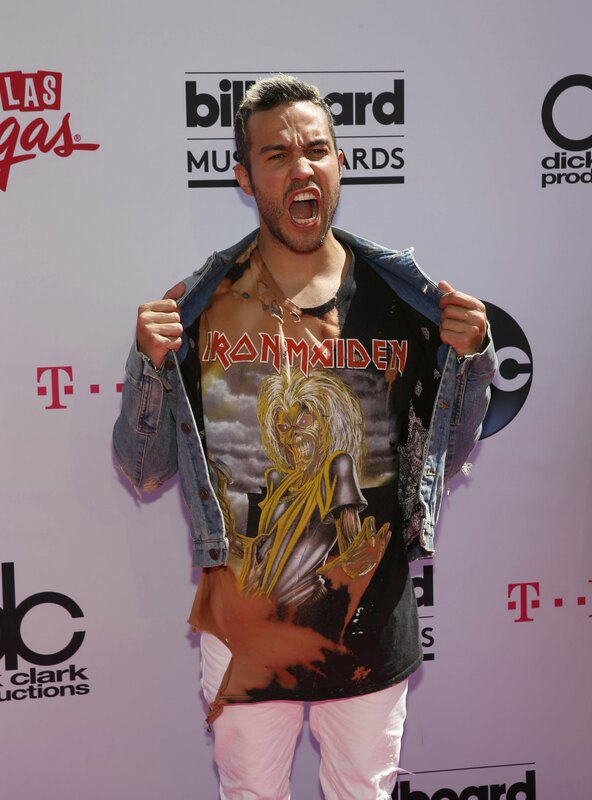 Pete Wentz at the Billboard Music Awards 2016. Priyanka Chopra at the Billboard Music Awards 2016. Rachel Platten at the Billboard Music Awards 2016. 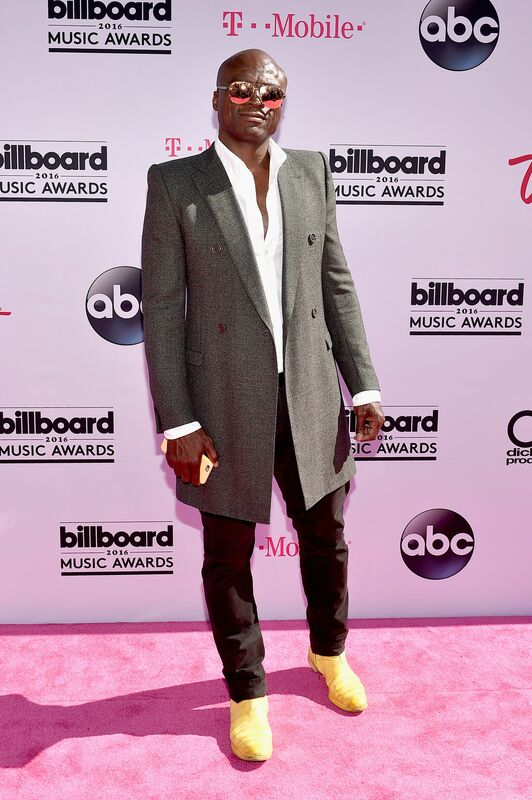 Seal at the Billboard Music Awards 2016. Serayah at the Billboard Music Awards 2016. 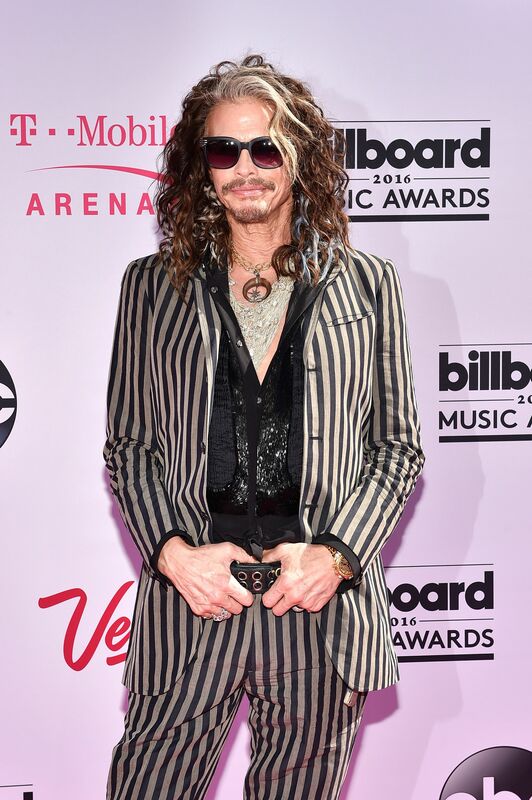 Steven Tyler at the Billboard Music Awards 2016. Tove Lo at the Billboard Music Awards 2016. 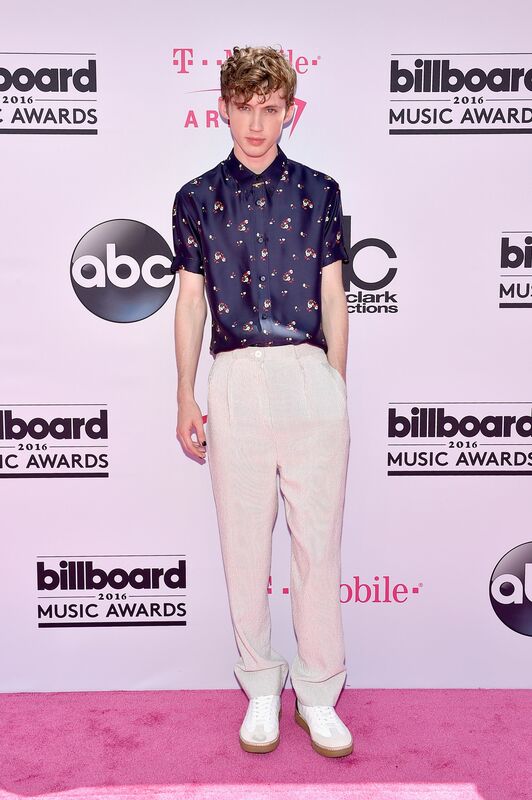 Troye Sivan at the Billboard Music Awards 2016. Wiz Khalifa at the Billboard Music Awards 2016. Z Lala at the Billboard Music Awards 2016.